Nothing transforms a living space like the right Natuzzi True Sectional Sofa. That’s why we at Sleepers in Seattle carry such a wide variety of True Sectional Sleeper Sofas. In this section we present to you our Natuzzi True Sectionals. Known for their stylish Italian design, our Natuzzi furniture is available in a tremendous selection of top-grain hides. View our entire assortment of Natuzzi True Sectionals below. Our Natuzzi True Sectional Sleepers are built using solid wood frames and high-quality European webbing. These elements combine to ensure years of comfort for both seating and sleeping. Natuzzi Sleeper mechanisms open and close easily, providing one of the best sleep solutions on the market. Choose a model from our selection above and treat your guests to a next level sleeper experience. 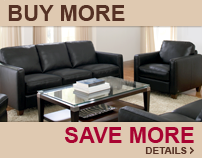 Our Natuzzi True Sectional Sofas are fully customizable in a wide array of leather upholsteries. After selecting a model, click Start Customizing to browse through complete assortment of 100 percent top-grain Natuzzi leathers. Use 3D renders to preview an exterior before purchasing. How’s that for convenience!